This week, we told you all about the market from a 30,000 foot perspective. Now, we want to give you a closer look at some of the specific things you'll find inside the market. 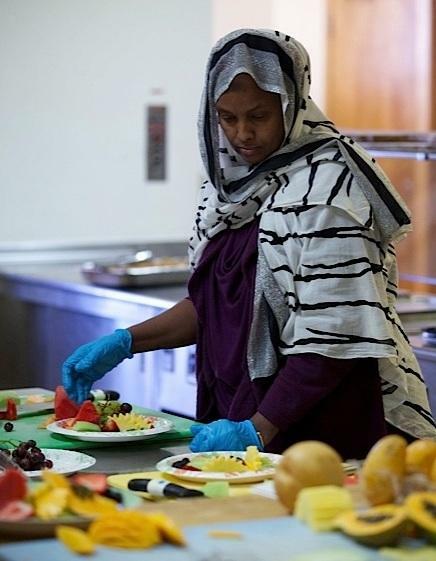 Habiba Abdullah prepares a Somali meal. Abdullah owns a grocery store in the market and her sons co-own the restaurant Taste of Africa. Four restaurants will open in the market. You'll be able to sample East African cuisine at two vendors. One will feature Somali food, and the other Ethiopian and Eritrean. An Iraqi and a Mexican place round out the dining options. Terry Hathaway has a small home business selling lose tea like what's in these jars. But what he really loves is talking about tea. He hopes people will have a cup in his stall at the market, learn about where that tea comes from and how it's made, then take some home. 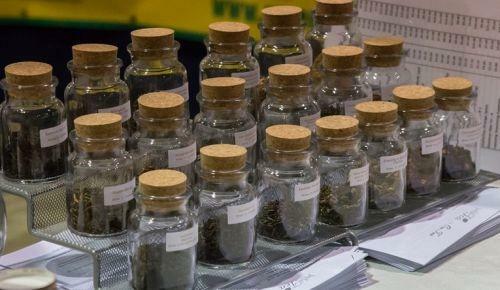 More than 100 types of tea will be available at the International Market. You'll also be able to sample Middle Eastern coffee. One of Nava's specialties is the diablito. It's chili powder, lime, Mexican chili sauce and tamarind. It's sour and spicy. That flavor combination in something so cold is likely to surprise a first timer. Sweet-tooth satisfiers have a Mexican theme. There will be a Mexican bakery and a shaved ice and ice cream shop. 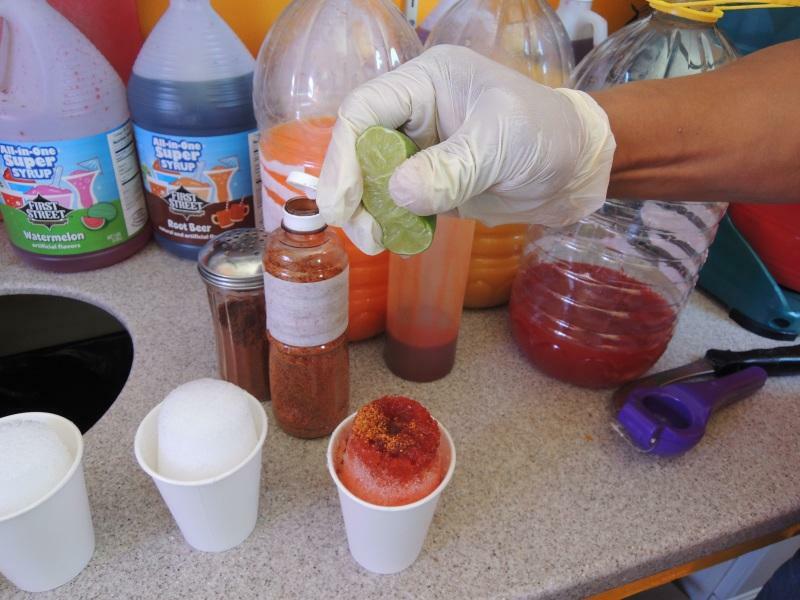 We recently introduced you to Victor Nava who owns Andy's shaved ice. His deserts rely on ingredients like tropical fruit, chili powder and condensed milk. 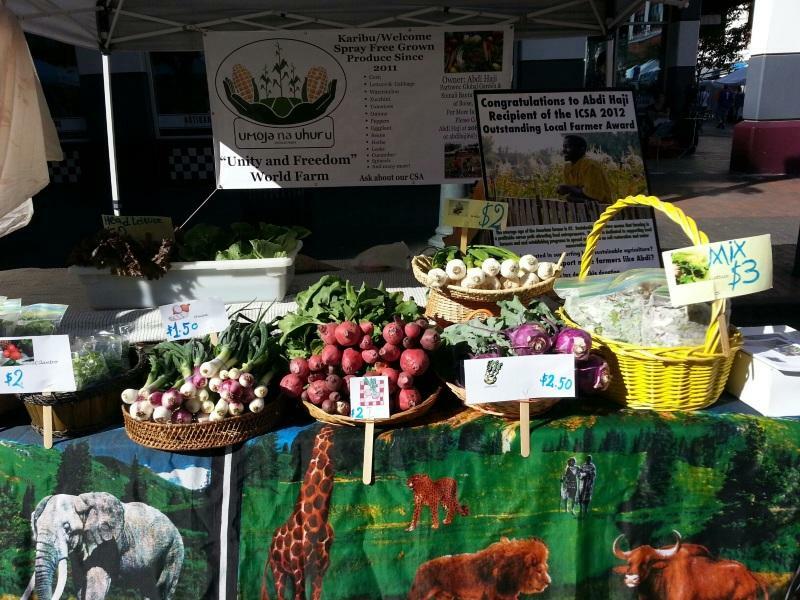 Somali refugee Abdi Haji has developed a bit of a following selling the vegetables he grows at farmers markets in and around Boise. Haji says he's glad he won't have to travel to so many different places and his costumers will always know where to find him. If you want to try some international cooking at home, the market will house six small grocery stores. One will sell only fresh produce. One will sell specialty meat and sausage. Three others will have a wider variety of products, like spices, from specific parts of Africa and Asia. Rita Thara models the clothes she and her mother Veronique design and sell. Their business in the market is Thara Fashion. 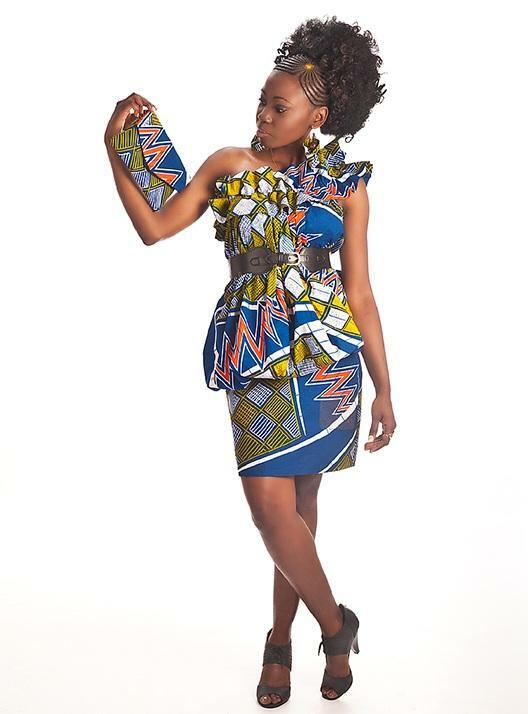 One of the African grocery stores will sell imported African clothes, accessories and crafts. One shop is just for African clothes, bags and jewelry designed and made by a mother-daughter team. There will also be a shop selling Mexican clothes, shoes and accessories. Some of the faces behind the Boise International Market. 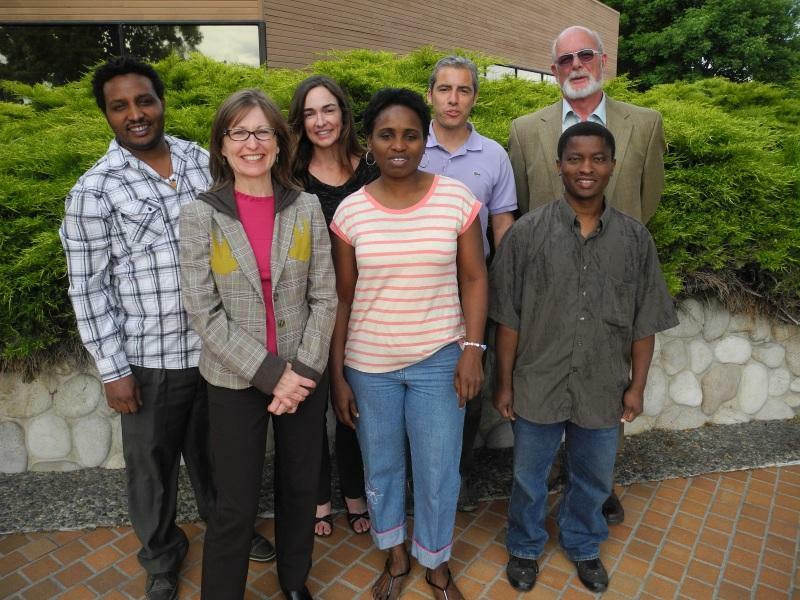 Back row, Kibrom Milash owns an Ethiopian/Eritrean restaurant, Lori Porreca and Miguel Gaddi are the market's developers, Terry Hathaway owns Joyful Tea. Front row, Gina Bessire works with META, a non-profit helping many of the refugee business owners get started, Susan Ikeagwu is British/Nigerian and is opening a meat and sausage shop, Abdi Hagi from Somalia grows and sells vegetables. Ten of the business set to open inside the International Market are owned by refugees. They come from several African countries as well as Iraq and Bhutan. Four owners are immigrants from Mexico and England. This is an iPad sketch of the market by Gaddi's daughter Vera. 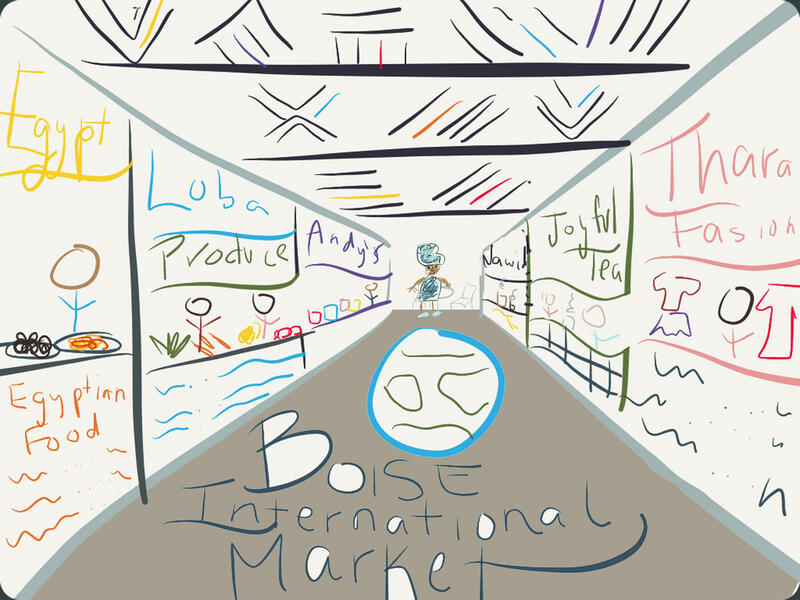 International Market creators Lori Porrecca and Miguel Gaddi want their market to be a place for Boiseans to experience the diversity that exists, but is often hard to see in their community. They envision a place where people come as much for the experience, as to buy things. Gaddi describes scenarios of people eating Ethiopian food and talking to the restaurant owner about the ingredients, then going across the market to buy the spices in order to try to make the dish at home. Porreca talks about people using the market's common space for public meetings and performances. But even more she wants it to be a place where people meet and talk, they encounter surprises and learn new things, for it to be, as she puts it, "A place where life happens." It may be asking a lot of one place, but they want their market to help Boiseans feel more connected to each other and to the world. Acknowledging Idaho's economic development "sins of the past" Tuesday, Gov. C.L. "Butch" Otter unveiled a revamped business incentive program that was once touted as a job creator, but Otter now wants it viewed as a way to train workers for high-skill jobs. A construction crew is busy renovating a dilapidated strip mall on the Boise bench. It’s just a big empty space with torn up floors, but by August this will be the Boise International Market. Lori Porreca is building the market along with her partner Miguel Gaddi. The market will be home to many small businesses, each in stalls. There will be 17 when it opens and more added later. As Gaddi stands in the main entrance of his construction project, he describes what it will be like. A Ketchum bookstore will stay in business thanks to donations from its community. Last month, we told you ago about Iconoclast Books owner Sarah Hedrick and her Indiegogo campaign to save her store. The city of Boise likes to tout its livability to people looking to move in. It turns out, some of the same amenities that attract humans, might also make Boise look pretty attractive to a moose.